Obama was born a British Subject/Citizen to a British Subject/Citizen father and a U.S. citizen mother. Obama's father was not a U.S. Citizen and never intended to be one. Obama's father was never even an immigrant to the USA nor was he even a permanent legal resident. Obama's father was a foreign national sojourning in the USA to attend college. Obama is still a British Subject/Citizen to this day because he has never renounced that citizenship. According to this lawsuit, Obama was born a dual-citizen with dual allegiance and loyalty and is therefore not constitutionally eligible to be the President and Commander-in-Chief of our military. The founders of our country and framers of our Constitution required the President to have unity of citizenship and sole natural allegiance to the USA from the moment of birth, which Obama does not and cannot have. 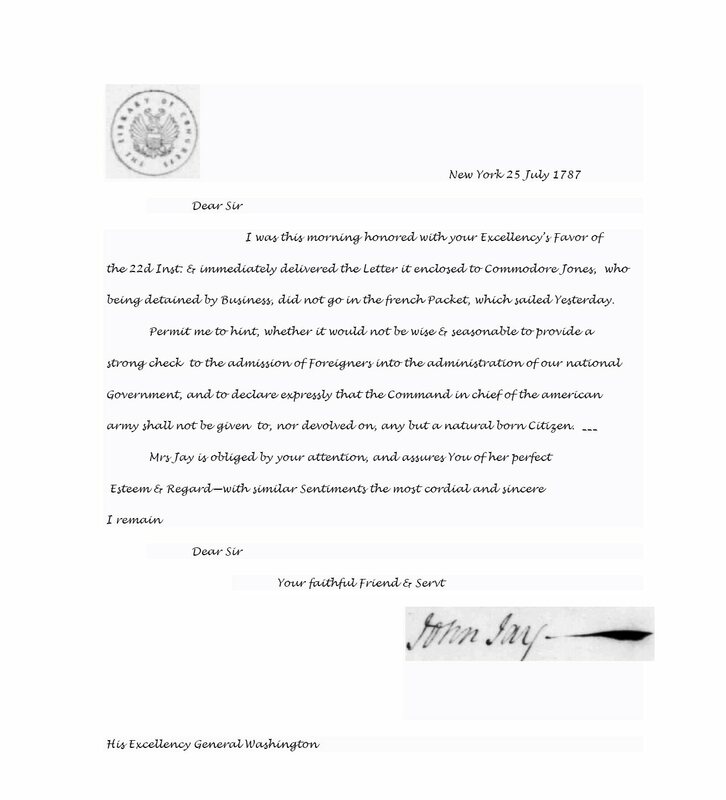 This was a national security issue to the founders and framers. Obama has multiple foreign allegiance claims on him because of his British citizenship which also converted to Kenyan citizenship at age 2. Obama was also an Indonesian citizen as a youth when he was adopted or acknowledged by his Indonesian step-father when he married his mother, Stanley Ann Dunham. 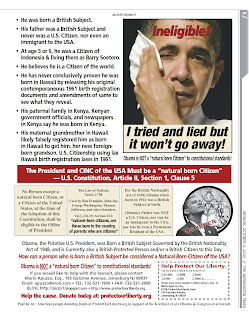 The lawsuit seeks a trial on the merits to determine the true facts of Obama’s legal identity and exact citizenship status and to require Obama to prove to the courts that he is eligible for the federal office he sits in per our Constitution, Article II, Section 1, Clause 5, which states: No person except a natural born Citizen, or a Citizen of the United States, at the time of the Adoption of this Constitution, shall be eligible to the Office of President; neither shall any Person be eligible to that Office who shall not have attained to the Age of thirty-five Years, and been fourteen Years a Resident within the United States. The legal term of art, natural born citizen, is defined by the world renowned legal scholar, Emer de Vattel, in his pre-eminent legal treatise and enlightenment to the world of jurisprudence in the revolutionary period, The Lawof Nations or Principles of Natural Law, published in 1758, and which was used by the founders by the Continental Congress during the formation of our country and by the framers of our U.S. Constitution, and whose definition of natural born Citizen is incorporated in several U.S. Supreme Court decisions. Vattel and U.S. Supreme Court decisions agree that a natural born citizen is a person born in the country to two parents who are both citizens of the country. Obama’s father was not a U.S. citizen, nor even an immigrant to the USA. 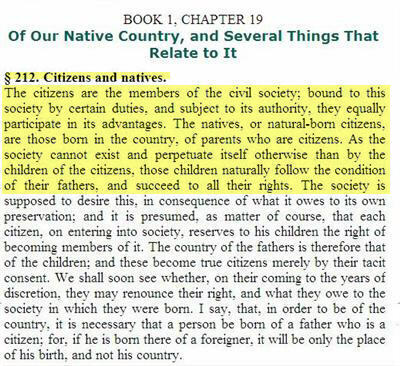 Thus Obama is not a natural born citizen of the USA, and that is the reason for the lawsuit. The original lawsuit was filed early in the morning of January 20, 2009, before Obama was sworn in. The case was dragged out by delays by the government in addressing the case and deciding on whether the case would proceed to a fact finding trial on the merits or not. The courts have decided that it will not go to the merits and have dismissed the case using technical and procedural tactics to keep the Plaintiffs from getting to the merits of the charges. By the lower Courts finding that plaintiffs do not have standing and that their claims present a political question, the lower Courts were able to avoid having to address the underlying merits of the Kerchner case. With such a decision, the American People unfortunately still do not know conclusively where Obama was born and whether he is an Article II “natural born Citizen” and therefore constitutionally eligible to be President and Commander in Chief. 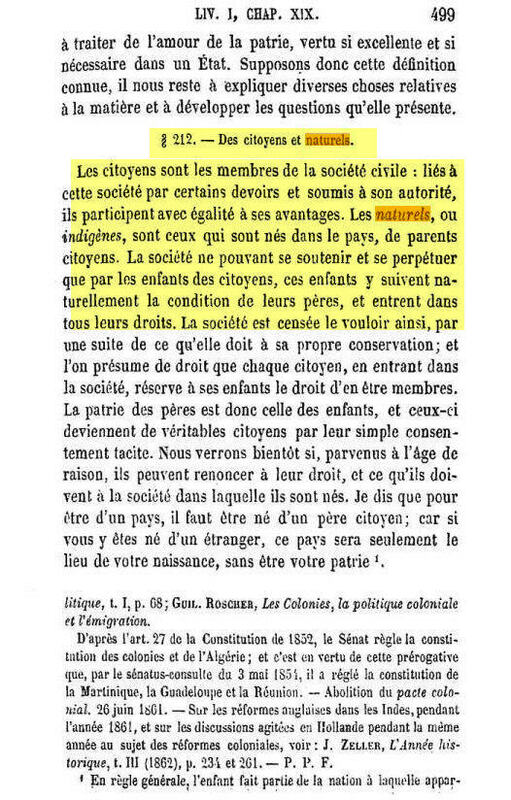 Being a born “Citizen of the United States” is a necessary part but is NOT sufficient to be an Article II “natural born Citizen of the United States”. We have asked the relevant questions and provided for the U.S. Supreme Court in our Petition various reasons why it should accept this case and promptly resolves this constitutional crisis. Atty Mario Apuzzo & CDR Charles Kerchner on the Conservative Monster Radio Show, hosted by Steve Cooper, Blog Talk Radio, Wed 15 Sep 2010 9 PM EST. He was born a British Subject. He is NOT a "natural born Citizen" to constitutional standards. He has never conclusively proved he was born in Hawaii. My paternal family in Kenya, Kenyan government officials, and newspapers in Kenya say he was born in Kenya. His maternal grandmother likely falsely and illegally registered him as born in Hawaii to get him, her new foreign-born grandson, U.S. Citizenship.